The easy way to make crisp, delicious bacon in your microwave. Simply to load, cook, serve, clean, and store. Leaner and healthier than pan fried. Cooks bacon on special racks so the fat drips away. Cooks bacon tender or crisp by simply adjusting the microwave time. 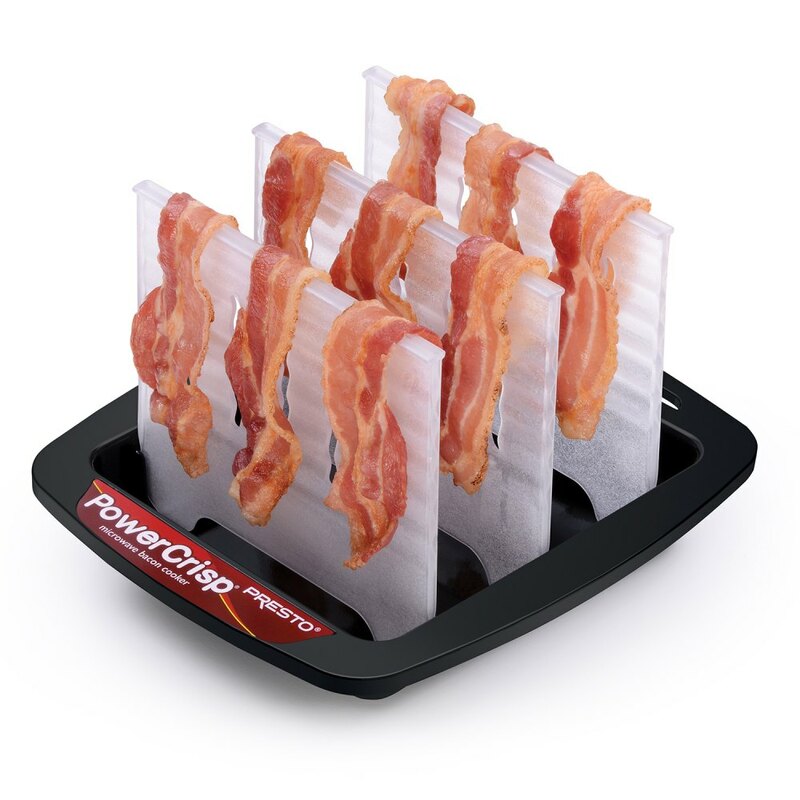 Makes up to twelve strips of bacon with no messy spatters on counter or stovetop. Easy to use. Cooked bacon easily lifts away with the edge of a knife. Easy to clean. Everything is fully immersible and dishwasher safe. Easy to store. Removable cooking racks stack in tray. Cooked bacon easily lifts away with the edge of a knife. Removable cooking racks stack in tray for compact storage.